The tragedy of a wrongful death cannot be undone. No amount of money can erase what has happened. But holding the responsible party accountable and securing compensation can help your family move forward. For a free case review, please call The Kelleher Firm at 833-546-3675. We have offices in Fort Myers and Naples, Florida, and we are driven by serving as aggressive advocates for our clients. We are available to take your call 24/7. 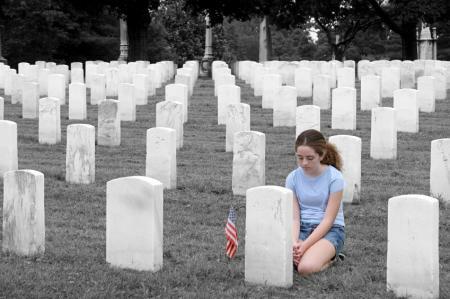 Who Is Eligible to Receive Wrongful Death Compensation? A wrongful death is marked by someone else causing it. The person responsible may have been acting intentionally, which is why some murder cases are accompanied by a civil suit. Our attorneys handle wrongful death claims caused by negligence. In such events, a person was not necessarily acting with intent to harm but caused someone's death nonetheless. Something as simple as carelessness – texting behind the wheel, for example – can be so hazardous that it results in tragedy. Had the person responsible exercised even the most reasonable amount of care, then the death would not have occurred. It is these scenarios that concern our lawyers. It is because of the irreversible harm done to the families of the deceased that we fight every day. We don't rest until the best possible outcome has been obtained. The damages listed above tend to fall within one of three categories. Economic compensation awards stem from the financial value of certain losses, such as the costs of the deceased's burial or medical bills. Non-economic damages refer to things that may not be as obvious in terms of money losses, but are nonetheless compensable, such as the mental anguish and loss of companionship caused by the death. Punitive damages are meant to punish the wrongdoer and deter similar behavior. Punitive damages are sometimes awarded in cases involving especially egregious behavior, for example a repeat drunk driver who causes a deadly accident and has a blood alcohol content twice the legal limit. Each case is unique, as unique as the families affected by these tragedies. Therefore, compensation tends to differ in each case. Rely on our experienced lawyers to fight tirelessly in pursuit of every dollar you need and deserve. Certain parties are eligible to file a wrongful death claim. These parties are largely defined by state statutes. The attorneys at The Kelleher Firm can determine if you are such an eligible party. Immediate family members are the most likely to suffer from a wrongful death. Not only do they have to live with the crushing grief and pain of their loved one's departure, they also will have to live with the financial and practical implications of the death for many years to come. 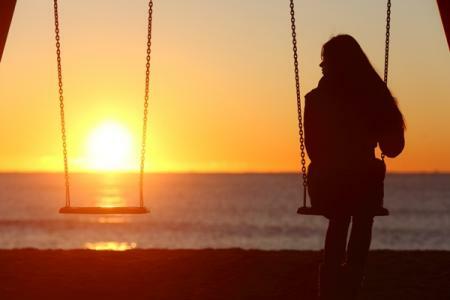 For example, a child who loses their father in a defective equipment accident will lose that father's love, companionship and guidance for the rest of their life. All the money in the world cannot undo the harm that has been done, but that child still deserves maximum compensation as a way of setting things right, even if only in a small way. This area of liability is where wrongful death can begin to get confusing to people who don't work within the legal profession every day. There will be questions surrounding whether a duty of care was owed to your loved one by the responsible party, and whether that party carelessly neglected that duty of care. There will be questions about whether reasonable standards were met or ignored, and whether that caused your loved one's death. The lawyers at The Kelleher Firm will review all of these issues and others. The death was someone else's fault. Your loved one's death must have been caused by someone else's carelessness, directly. In technical terms, this involves showing that a certain duty owed to your loved one was breached, and that the violation of the duty caused death. For example, a manufacturer has a duty to warn you of the dangers involved with proper use of their product. If they did not provide warning, and the dangerous defect kills someone, then that manufacturer may have breached a duty to the consumer. Your claim falls within the timeline allowed. Lawsuits must be filed within a certain amount of time from the date of death. Our attorneys know these statutes of limitation and we can tell you if you have an eligible claim. The death resulted in losses or other things that are eligible for damages. Another essential element is demonstrating the losses and harm caused by the death. These are the things listed in sections above, such as loss of financial contributions and companionship. If you are wondering if you have a claim, don't feel as though you have to figure all this out on your own. Our lawyers are here to determine if the right elements are present. At The Kelleher Firm, we know this situation is about more than money to your family. It's not about revenge or evening the score. We know it cannot undo the grief and the loss. As lawyers who have been resolving these claims for many years, we have also witnessed the power these lawsuits have to hold the responsible person accountable. 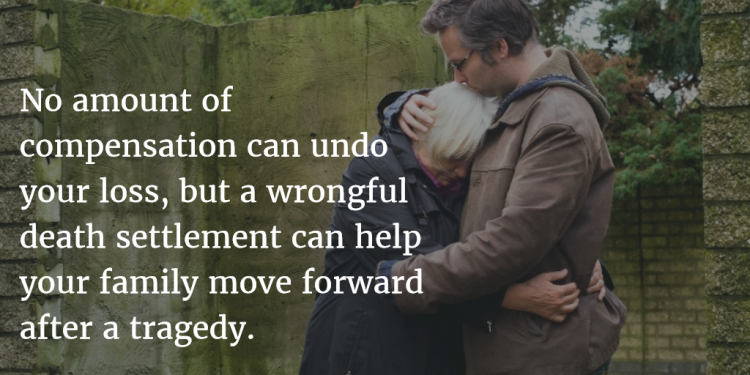 Accountability for a wrongful death can alleviate some of the pain you may be feeling. And the compensation award can help you pay for the actual expenses caused by your loved one's passing. We are driven by providing outstanding legal services. Not only do we have the skills, experience and resources to handle these claims adeptly, we have the passion to represent our clients to the full extent of our abilities. We will not stop fighting for you. If you lost a loved one because of someone else's negligence, we encourage you to call our attorneys in Naples and Fort Myers. We know that horrific losses of life happen all hours of the day, so we are available to offer free case reviews 24 hours a day, 7 days a week, at 833-546-3675. As lawyers with decades' worth of experience, we are extensively familiar with how wrongful death cases are handled in Florida. You can rely on us as your trusted advocates during a time when you may feel like no one else is looking out for your family's best interest.